January 14, 2019, the Jacmel Lutheran Home accepted its’s first residents! 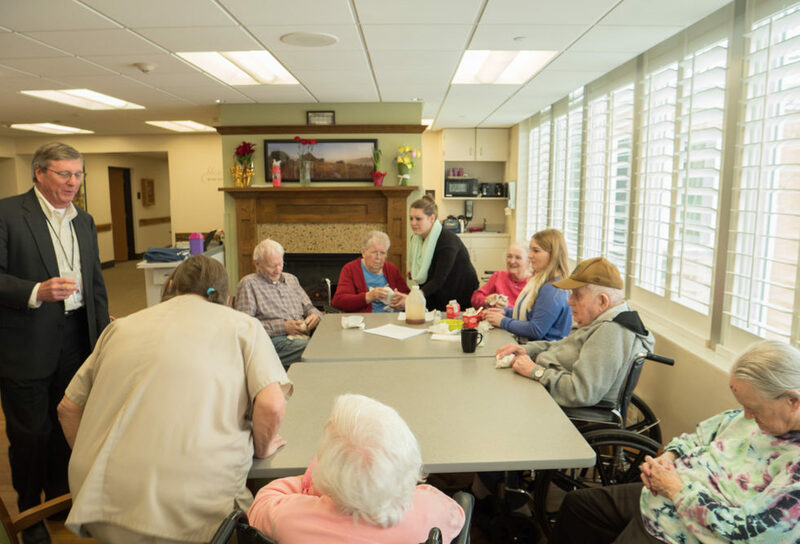 A professional team from the Perry Lutheran Home and Lutheran Family Service of Iowa, helped Ministry In Mission evaluate, transport and provide the initial care to the first 5 residents . Melissa Gannon, LPN, B.S. from Perry Lutheran Home along with Junior Laurent from Fellowship of Christian Athletes, Haitians Emmanual Michel , Rev. Eda and Widline Dubreuze, Director of the Jacmel Lutheran Home, formed the team that interviewed, assessed and moved the new residents to the Jacmel Lutheran Home. The residents were transported to the Jacmel Lutheran Home on a mattress in the back of a pick-up truck . Upon arriving, Deb Koelln, RN, CDP and Kelly Moore, RN bathed the new residents, assisted them in getting dressed in new clothes donated to Ministry In Mission. The new residents were examined by Dr. Accul Pierre-Louis, staff doctor at the Jacmel Lutheran Home. Blood work was ordered and medication prescribed based on the doctor’s recommendation. 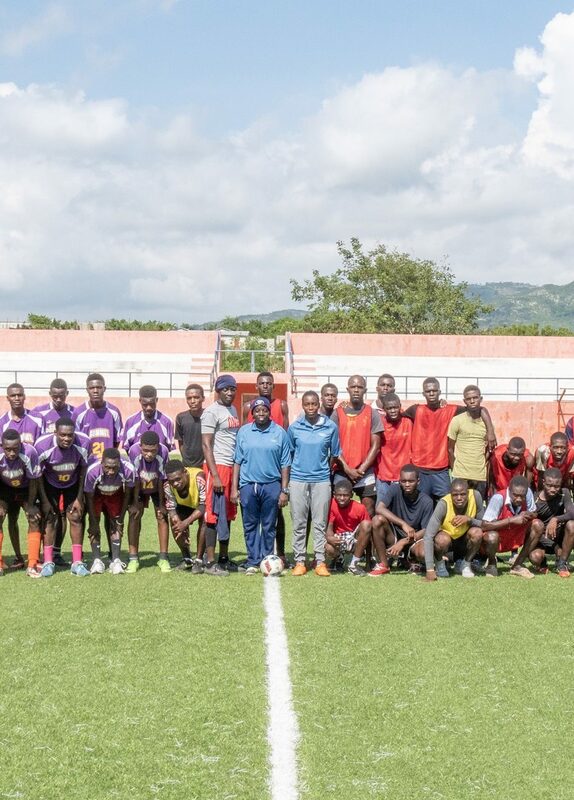 On Saturday Nov. 10 and Sunday afternoon Nov. 11 , the members of a Ministry In Mission team and members of the Fellowship of Christian Athletes held a soccer clinic at the Jacmel Haiti municipal sports complex, featuring a full size turf soccer field. The Director of Sports for the city assembled over 170 athletes, to enhance their soccer skills and they also heard Pastor (Coach) Tony Boos from, Faith Lutheran Church in Troy Michigan and Vladimir from Fellowship of Christian Athletes Haiti talk about THE GOOD NEWS OF JESUS CHRIST. Many thanks to the city of Jacmel, Pastor Mayor Marky Kessa for arranging the use of the stadium, Sydney Kessa for preparing the food to feed the athletes, Pastor George from Jacmel, Rudy, with the “Faith Troy” team, Ronald and Adrain from Fellowship of Christian Athletes for their expertise in helping run the soccer clinic. Jacmel Lutheran Home, for the elderly, Progress!! 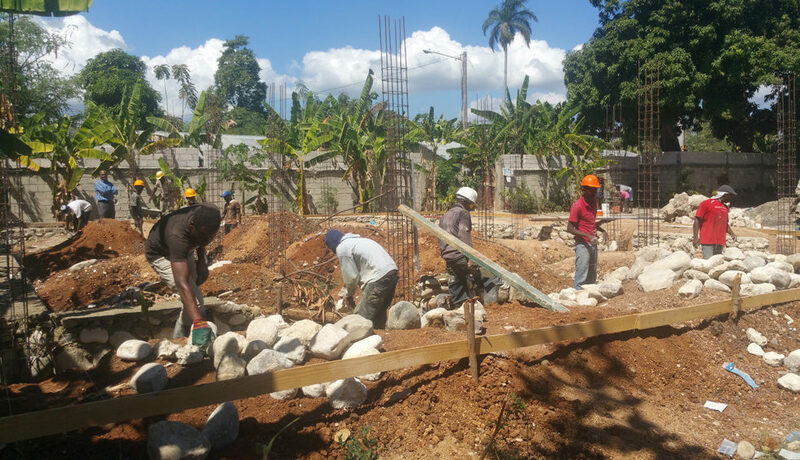 The Haitian workers are busy finishing the Jacmel Lutheran Home for elderly Haitians. Teams from the U.S. are coming to Jacmel in Nov. , Dec., and Jan. to work side by side the Haitians to get the home ready for future residents. The interior furnishings have arrived in Haiti! Pastor Marky Kessa, Sydney Kessa from the Evangelical Lutheran Church of Haiti and Jackie and Mark Rychel from Ministry In Mission were on the docks at the Port of port au Prince on Sept. 19. watching customs inspect the sea container as it was unloaded and reloaded to itemize the contents for customs purposes. Special thanks to Medwish in Cleveland Ohio and Orphan Grain Train for their roles in getting the sea container to Haiti and The Lutheran Womens Missionary League (LWML) whose grant has made all this possible. The container will be trucked to Jacmel as soon as next week and placed in the compound that includes the Jacmel Lutheran Home and Center of Refuge Orphanage. It takes a long time to recover from a Hurricane, especially in Haiti, where construction resources are at a premium. 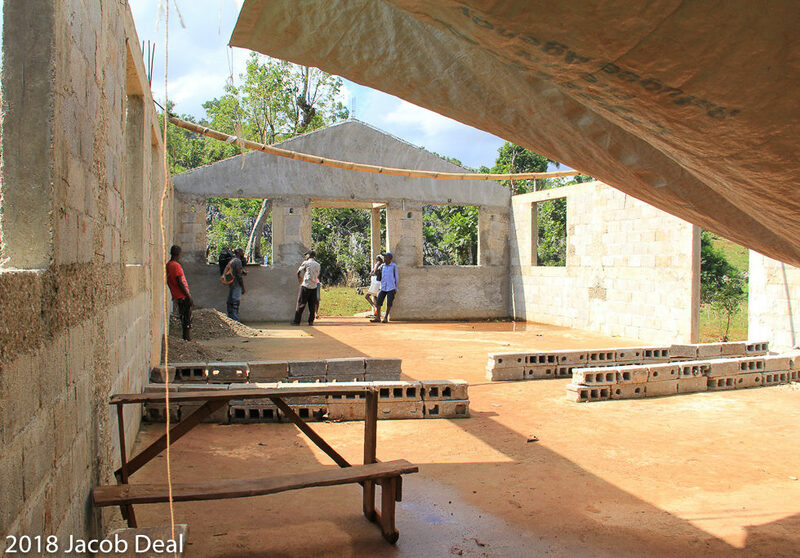 The Lutheran Church Missouri Synod (LCMS) continues to stand by the Evangelical Lutheran Church of Haiti (ELCH) by providing funds, through Ministry In Mission for the construction and reconstruction of churches in areas where Hurricanes destroyed many churches. Rev. 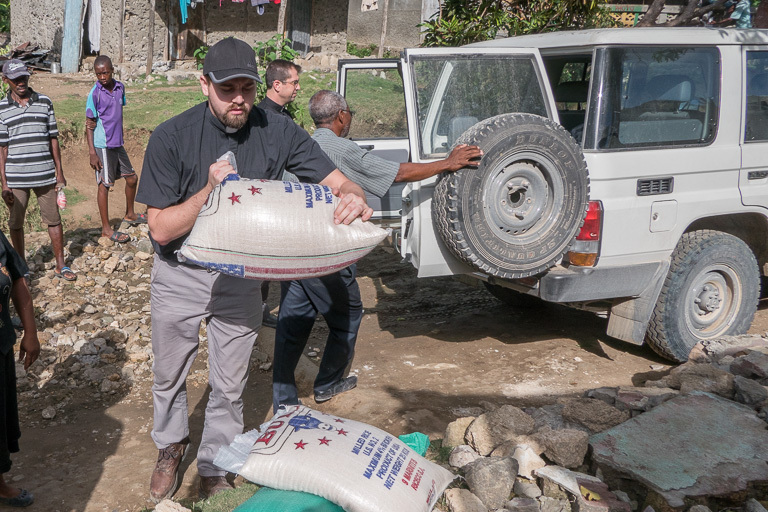 Jacob Deal, Pastor of Saints Peter and Paul Lutheran Church in Sharon PA, has been doing ministry in Haiti since he was a teenager. Pastor Jacob, has worked with Rev. Ross Johnson, Director of Disaster Relief for the LCMS, Rev. Paul Toulotte, District President of the ELCH and Ministry Mission over the last year and one half. 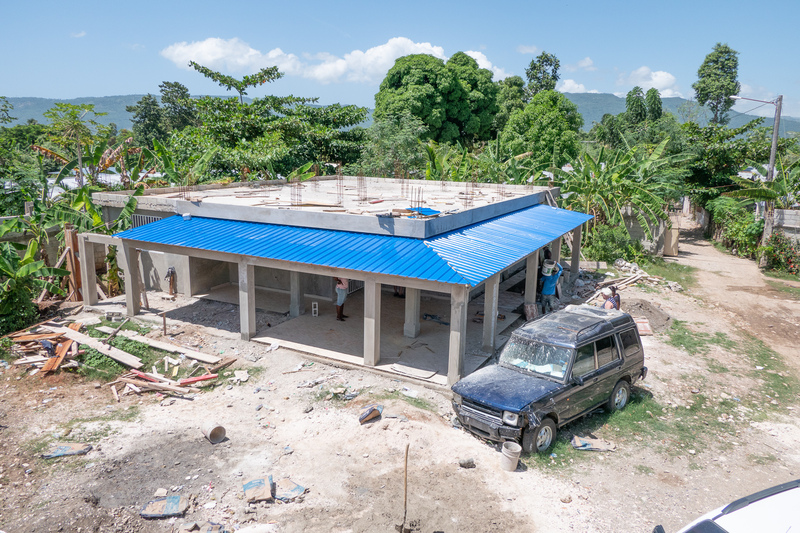 Pastor Jacob is following up on the rebuilding of Haitian Pastor’s roofs and homes and the continuing rebuilding and construction of Haitian Churches in the Sud and Grande Anse Districts of Haiti. Last week Pastor Jacob, travelled to Haiti to follow up and co-ordinate the continuing reconstruction. Pastor Jacob not only follows up on the construction but provides spiritual counseling for Haitian Pastors. Having a representative of the LCMS provides encouragement to these Pastors. Here are pictures taken by Pastor Jacob last week, as he travelled by motorcycle, showing work being done in Berlotte, Polite,and Sejourne Haiti. Perry Lutheran Home, Perry Iowa – A New Partner ! 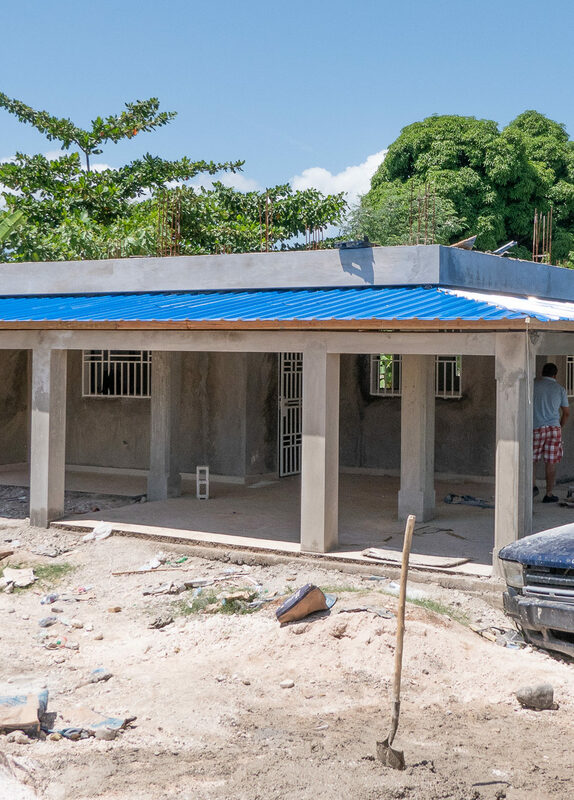 Thanks to a Lutheran Women In Mission Grant, Ministry In Mission , is in the process of coordinating the building of an Elder Care Home in Jacmel Haiti. When the home is built expertise will be needed to take proper care of the residents. In an answer to prayer, Jackie Rychel was contacted by Courtney Frerichs from Lutheran Family Service of Iowa. Courtney asked Jackie to come to Perry Iowa and tour the facilities of the Perry Lutheran Home, their elder care facilities in Perry Iowa. Courtney also stated that they were interested in a possible partnership with Ministry In Mission. On March 4, 5 and 6 Jackie and Mark Rychel from Ministry In Mission had the opportunity meet at the Perry Lutheran Home with Rev. Max Phillips, CEO of the Perry Home and Executive Director of Lutheran Family Service of Iowa and Deb Koelln, Chief Care Officer at Perry Lutheran Home for a tour of the facilities and a comprehensive indoctrination in caring for the elderly. The Perry Lutheran Home has award winning programs for elder care. Their Alzheimers and dementia care is cutting edge. The staff of caring people is dedicated to excellence in elder care. Jackie and Mark, took part in a simulation of what is is like to have Alzheimers disease, they learned about music therapy, interfaced with the residents of the Perry Home and had intervews with the entire staff. You could feel the Holy Spirit alive here in the expertise of the leadership and staff. Virtually the entire staff of Lutheran Family Service and the leadership of the Perry Lutheran Home met with Jackie and Mark to explore taking a mission trip to Haiti to help with the new Elder Care Home. The beginning of January 2019, was set for the mission trip. Both the Perry Lutheran Home and Ministry In Mission are Recognized Service Organizations of the Lutheran Church Missouri Synod. This type of synergism as part of the Body of Christ is what its all about. Both organizations using their God given talents to help people and spread the Good News of Jesus Christ! The Elder Care Home in Beaudoin Haiti took large steps to becoming a reality in the last two weeks. The missionary team doing work during the final weeks of January 2017, started clearing the banana trees on the land adjacent to the Center of Refuge Orphanage, the site of the new elder care home. The trees will be replanted elsewhere. Pastor Marky Kessa will oversee the construction and boulders were delivered to start the foundation. 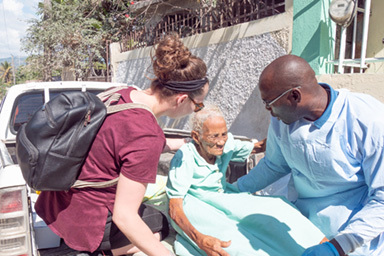 The Elder care home is one of the first that we know of in Haiti. Thank you Lutheran Women’s Missionary League for you support. 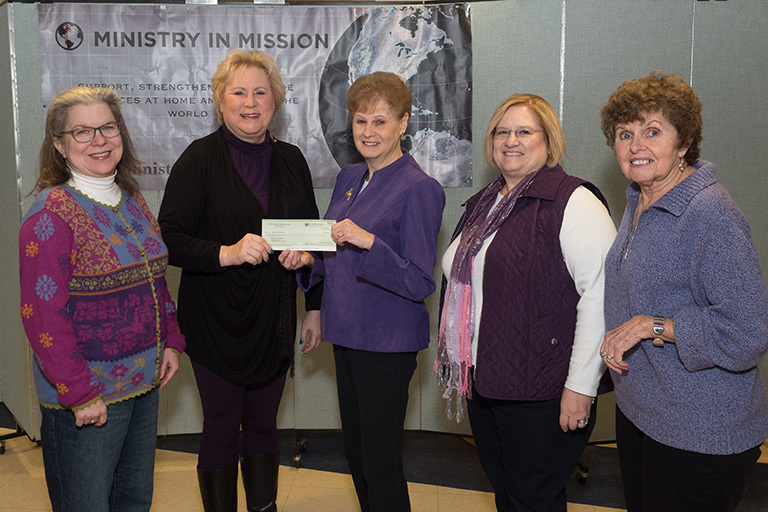 On Friday Feb. 2, 2018, Jeanne Schimmelmann, President of the Ohio District Lutheran Women’s Missionary League, presented a check to Jackie Rychel, President of Ministry In Mission for $50,000 . This represented the first installment of the $100,000 grant from the National Lutheran Women’s Missionary League, for the construction of the elder care home.